There was no model to follow when the City and County of Yakima, Wash., sought to consolidate purchasing. Yakima is the eighth largest city by population in Washington state and the county seat of Yakima County, just southeast of Mount Rainier National Park. The Yakima City Hall is located right across Second Street from the Yakima County Courthouse. Both entities — the city and county — are now served by a single purchasing department, operated by the city. But not so long ago, back in 2008, there were two separate departments. The road to purchasing consolidation in Yakima and Yakima County presented challenges, highlighted the strengths and weaknesses of the two departments, and finally provided abundant opportunities to increase purchasing effectiveness and save money. The idea to consolidate the purchasing functions of the city and county was first suggested as a way to improve cooperation by a City/County Intergovernmental Committee that included city council members and commissioners. The city was quickly determined to be the lead agency, and Sue Ownby, city purchasing manager, was chosen as project manager. In retrospect, Ownby’s initial reaction to the idea seems less than gung ho. She wrote a feasibility report in August 2007 outlining possible impediments and the level of cooperation that would be needed to merge the two departments. Her report emphasized the divergent practices of the city and county departments. Daunted by the challenges, she approached her then-boss, Yakima Assistant City Manager Dave Zabell. “Is this ship going to sail?” she asked. “The ship’s sailing, are you on it?” he replied. Ownby remembers looking to the sky and answering: “Looks like a great day for sailing.” From then on, she became totally committed to making the consolidation a success. But the sailing has not always been smooth. Back in 2007, Ownby posted a query on NIGP’s PurchIssues listserv and then followed the advice of one respondent who suggested she hire the NIGP Purchasing Management Assistant Program (PMAP) to do a Joint Administrative Purchasing Assessment. “It was the smartest decision I made,” said Ownby, who is now purchasing manager of the combined city/county department. In February 2008, NIGP consultants Phil Scales and William Irish completed a 115-page report that would largely guide the transition over the next couple of years. The report listed operational and financial efficiencies that would come by combining the city and county functions and outlined tangible benefits and the needed staffing requirements, technology enhancements, and organizational and procedural changes. The report was based on data supplied by Yakima city and county, on a visit to assess the situation and on a survey of best industry practices. From the first mention of the idea to a merger of the two departments took about two and a half years. When the project moved into the strategic planning phase, Yakima hired FCS Group, Redmond, Wash., to put together the implementation plan. Previously there had been only four examples of cities and counties that merged their purchasing departments — and the last one occurred in 1974! “We didn’t have a model to follow, so we had to be our own trendsetter,” said Ownby. Today, an Interlocal Agreement specifies that purchasing for both the county and city of Yakima are handled by the city’s purchasing department. All personnel are employed by the city. The city and county share the budget for the department; the budget was split 50-50 the first two years of the agreement, and in the current year (2012), the county’s share is increasing to 57 percent to acknowledge a larger share of purchasing’s time devoted to the county. Also starting in 2012, the purchasing department will closely monitor and document time utilization as a tool to divide the budget fairly in the future. The Interlocal Agreement created the combined department in 2009. Washington state law allows local governments to cooperate with other localities for mutual advantage, and the combined purchasing department is authorized by the same state laws that govern cooperation of local fire and police departments. The consolidation elevated the county’s procurement function from a bureaucratic/process-based system to a knowledge/results-based system, an approach the city had already embraced. 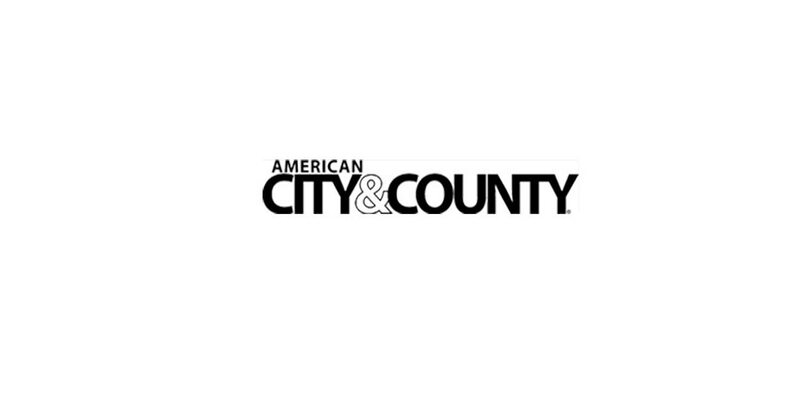 In contrast, the county’s more centralized approach had formerly created a huge administrative burden and required the staff to focus almost exclusively on processing routine repetitive transactions to which purchasing added little value. “We had quite a large kickoff campaign and held large meetings with all the divisions of the county to outline the changes we would be making,” said Ownby. The outreach reflected an immediate change in culture related to how purchasing was viewed. Previously, county departments had avoided purchasing as a bureaucracy that added little value and wasn’t much help with projects. Now internal customers call purchasing often. “They’re experts in their fields, and we’re experts in ours,” said Ownby. Service to county departments improved immediately, and the new department offers a higher level of expertise. Eliminated were duplicative and non-value-added duties, such as rekeying requisitions and maintaining open Pos that had no value. “We simplified the procurement process for them and let them be in charge of what they are doing,” said Ownby. There have been some growing pains, and Ownby admits that service to city departments (their legacy customers) has suffered a little during the transition. “We are doing everything we can to equalize that,” she said. Ownby acknowledges that technology is a weakness for the combined department. The merger was completed without an e-procurement system and with both entities maintaining separate finance systems (despite the fact that the NIGP report had contended the transition “cannot occur without the proper application of technology.”) Lacking technology means there are no spend analysis reports, which the new department will be looking to add in the future by implementing the NIGP Commodity/Service Code. The county had previously not even used the purchasing module of the current financial system. “Now they do,” said Ownby, “so we have made several improvements.” Lack of technology also limits Yakima’s ability to fully quantify the cost savings and other benefits of the purchasing consolidation. Differences in the purchasing function between the city and county are a continuing challenge for the combined department. Yakima is classified as a “first-class” city by state law, based on population, which is granted wide discretion in purchasing. In contrast, Yakima County is a “county with under 400,000 population” which has a separate, more restrictive set of laws on purchasing. For example, the county’s limit on decentralized discretionary spending is $5,000, and the formal sealed bid limit is $25,000. The city, on the other hand, can set such limits however it wants (and has a discretionary spending limit of $7,500), but has held back on increasing its sealed bid limit beyond the statutory limit on the county. “We were able to align several things, but not what is controlled by statute,” said Ownby. Another difference is how purchasing gets management approval. The city manager can sign documents without a vote of the city council, but everything approved by the county has to be put on the agenda for approval by the commissioners in a public meeting, which is more cumbersome. The city has a transit division with a disadvantaged business enterprise program (DBE), but the county doesn’t. Legal advertising requirements for bids and RFPs are different by statute: the city has to advertise in two issues of the legal organ and online and wait at least 10 days; county advertising requires one issue and a 12-day wait. The city passed a resolution to use E-Verify instant verification of work authorization to confirm the legality of contractors’ employees, but the county voted it down. These complications require more vigilance by purchasing employees “You just have to be cognizant of what you’re doing and what you’re doing it for, and make sure you’re doing the right thing,” said Ownby. A new Purchasing Procedure Manual has color-coded sections — green for the city and blue for county. The different budget cycles of the city and county are another challenge. The county starts its budget process two months before the city, so complete information is hard to come by when budgeting. Budget line items are therefore estimates, which can be problematic, and county numbers may have to be adjusted after city numbers are finalized. “The county has been amenable,” said Ownby. Cost savings were a benefit in the first two years of the consolidation. The new combined department’s total budget was only $340,900 the first year of consolidation and $432,432 in the second year, compared to a combined $472,841 the two separate departments spent in the year before consolidation. In addition to the retirement of the county’s purchasing manager, the other two county employees were laid off when the county department was closed. The city added employees and increased from three employees to five full-time and a part-time temporary in 2010 and 2011, with a sixth full time employee added in 2012. (Ninety-seven percent of the department’s budget goes to staffing). The combined budget for 2012 is $527,330. Greater leveraged buying power. Ownby says that the city and county thought they had previously been doing everything they could to leverage their joint buying power before the merger but has since concluded they had touched only about 20 percent. Greater productivity. There is now one vendor list, one procedure manual, one advertisement. “Every time we eliminate duplication, it’s almost like getting a 50 percent discount,” said Ownby. Joint bids are performed whenever possible, and the county is using more piggybacking opportunities through consortiums, other entities’ bids and state contracts. More opportunity for employees to advance. Greater shared knowledge among agencies (although nothing confidential). More consistent procedures and documents. A one-stop shop for local suppliers selling to the city and county. Before the merger, the county had a single purchasing card, which was used for travel reservations (handled by purchasing). Now there are more than 400 p-cards in the county and city together; the city had already been in the process of expanding from 16 p-cards to more than 200. The p-card program is now administered by the finance department. The p-card limit in the county was raised from $2,500 to $5,000 (limited by statute). For the city, the limit is $7,500. The department’s workload is unrelenting, represented by a current to-do list of 118 projects, and employees “just keep chipping away at the mountain,” said Ownby. Several county departments have “come out of the woodwork and we didn’t know they would require so much service,” she added, including a Human Services department that supports $35 million of grant-funded services to the aged and homeless. The new city department is not set up to handle the county’s huge construction contracting needs, but has agreed to offer advice on the subject, which had led to a flood of questions needing answers. Ownby says other procurement professionals can learn from the Yakima experience. “There are efficiencies and savings to be had by merging your purchasing function,” said Ownby. In the case of Yakima, Ownby notes that statutory differences complicated the merger; the process might be easier if it involved two nearby cities. “Anytime you start a gargantuan project like this, it has to be management-driven from the top executive office, and it was supported from both sides of the street,” she adds. “The executives at both entities had a desire to make this happen and provided the continued support that made it possible.” Ownby also acknowledges her then-boss Dave Zabell for his support during the transition. Zabell is now city manager in Fife, Wash.